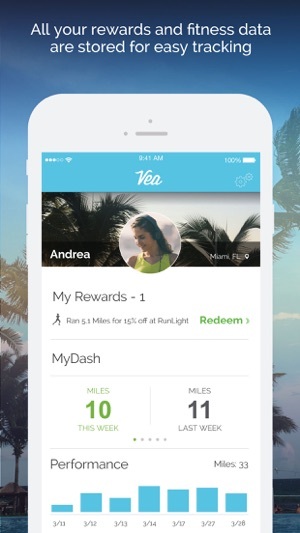 Vea gives you monetary rewards for your runs, biking and workouts! 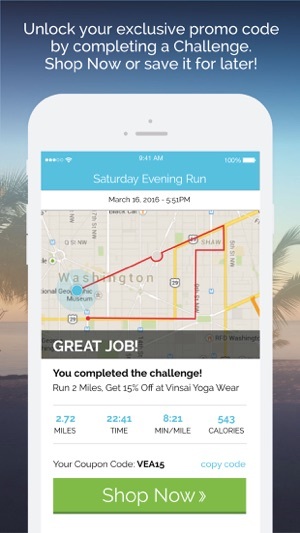 Vea has a feed of Rewards, like “Run 3 Miles, Get 15% off new running shoes”. 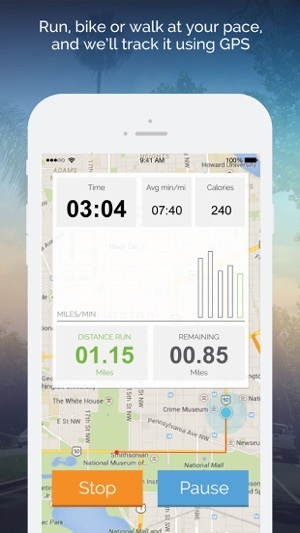 When you’re ready to run or bike, select a Challenge, tap “Go” and Vea tracks your distance, time, speed and calories, as well as tells you how much further you need to run to earn that reward. Or, how much time is required for that gym session. Once you complete your workout, you can stop and you’ll see your summary. A coupon code is displayed, and the “Shop Now” button takes you right to that company’s website to use your new discount code. Vea is social! 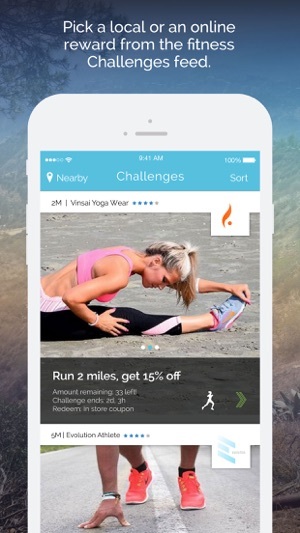 There’s a social feed where you can see which Challenges your friends are taking and see their run / bike route. You can even take the same Challenge right there on the spot. 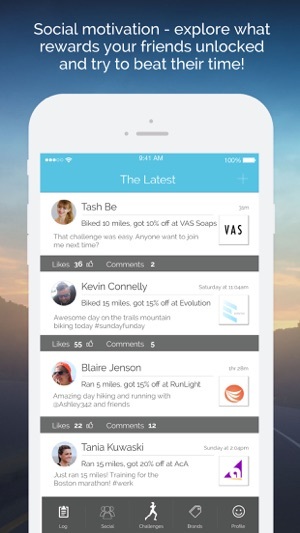 Vea logs all your workouts so you can look them over later and compare. All your performance data is shown visually in your profile, with month over month and week over week performance. So awesome to get rewarded for walking I'd do anyway.. The best part about this app is the tiers of challenges with no time limit- I've picked the 1.5 miler for my walk to work and biked my usual 7 miles last Sunday that I'd do anyway- and now I've got two coupons for new headphones and some sick glasses. If we can request more retailers in the feed please add more variety like local coffee shops, athletic stores and maybe grocery stores or something? Get rewarded for working out?! YES PLEASE! I love this app. I've had it since the beta release and love getting rewarded for going on runs. You don't even have to be a runner to reap the benefits. There are walking and cycling challenges too! The brands are great and most of them already have my business so the rewards are relevant. However, I've also discovered some pretty rad brands through the app (specifically some jewelry designers). 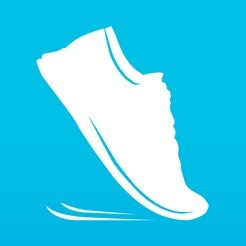 It also forces you out of the stuffy gym and to go outside since the app tracks your progress through gps. Enjoy the outdoors, enjoy the sweat, enjoy the rewards!